The Buyer: Coughlin Capital, LLC is a privately held investment group consisting of partners with expertise in business management, legal services, and financial evaluation. Coughlin Capital’s current investments include companies within the Logistics Services, Manufacturing, Quality Assurance, Staffing Services, Commercial Real Estate, Commercial Real Estate Development and Sports Entertainment Industries. 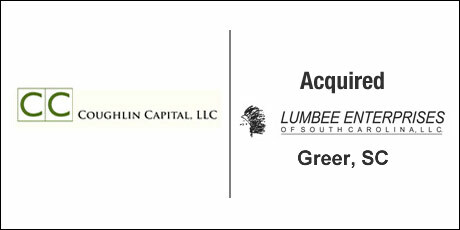 The Seller: Lumbee Enterprises began operations in 1990 as a quality consulting, sorting and automotive parts re-certification company. Currently, Lumbee Enterprises inspects or reworks more than 18 Million parts per year. Lumbee has performed major vehicle campaigns, factory PDI (Pre Delivery Inspections), campaigns for USPS and is on the approved provider list for BMW, Caterpillar, Freightliner, Nissan, Mack Truck, Volvo Truck and Hundreds of Tier 1, 2 and 3 Vendors. The Close: The buyer was a family fund that had previous experience in the Transportation and Logistics industry and had engaged DVS to conduct a regional search that concentrated in the buyer’s desired industry. The targeted company had a complex ownership structure with 3 partners of varying interests. DVS was able to structure the deal with independent liquidity events for each of the selling partners, thereby satisfying all parties involved. ← Aviation Systems Maintenance, Inc.